Createspace Independent Publishing Platform, 9781986109628, 314pp. There are three things Haldemanns never do: they don't cheat, they don't get divorced, and they don't break promises. When Markus Haldemann leaves his girlfriend Luci, he has no worries that her best friend - his very own cousin, Simon - will take his place. Simon said he wouldn't, and Haldemanns never break promises. But Luci Clark has her own ideas about Simon's role in her life. He's more than her best friend: he's her anchor, her lifeline, the voice of peace and reason who can be relied upon to always have her back and never judge her. And unexpectedly, she's realized he's a very desirable man. As Luci struggles to come to terms with a life-changing event, Markus ends his self-imposed exile in San Diego and comes home to Blackberry House . . . with a wife. 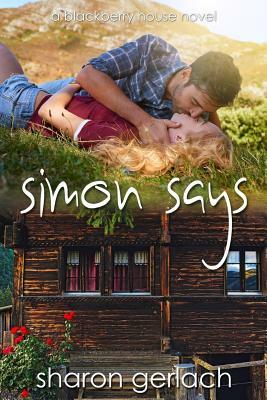 Despite his new marriage, he is determined to hold Simon to his word. To Simon Haldemann, Luci is everything. But are the rewards of loving her worth the risk of compromising his own integrity? Writer of relationships. Amateur connoisseur of scotch. Would-be squirrel tamer. Sharon Gerlach lives on the dry side of Washington State and pens novels about the complexities of relationships: the good, the bad, and the unpaid bills.